In 2012, six composers – David Hamilton, Chris Adams, Robbie Ellis, Ryan Youens, Anthony Young and Ben Hoadley – were each given the challenge of creating a new work for the Auckland Philharmonia (APO) and the Auckland Town Hall organ. The APO is shown under conductor Hamish McKeich workshopping the compositions. Composer Anthony Young is at McKeich's left, wearing a striped top. 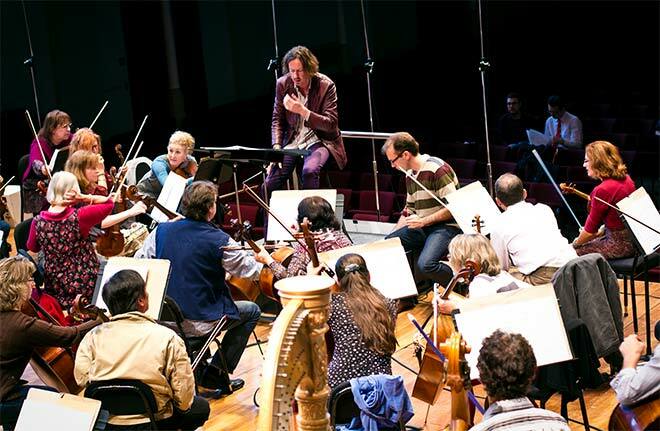 The orchestra is known for its commitment to the music of New Zealand composers.